The new Batman/Superman crossover movie now has an official title and logo. 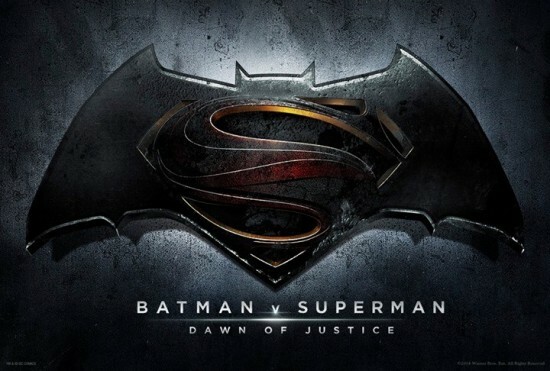 The title of the movie is Batman v Superman: Dawn of Justice. I think it’s now pretty obvious (as if the casting leaks for Wonder Woman and Cyborg weren’t enough) that this is going to be the first installment of The Justice League. Growing up as a comic book nerd, the silver age Justice League of America was one of my favorite books. I think this was mainly because this was the comic my dad grew up on, so it was something that allowed me to connect to him. I’m really scared that DC/Warner Bros is going to ruin my fond memories of the JLA, just as they have done with almost every other comic book property that has been turned into a movie. Let’s be realistic here, DC does not make good movies, save for the Christopher Nolan Batman series. All their other ventures in recent years have failed (don’t get me started on Green Lantern). Zack Snyder did an OK job with Man of Steel. The flashback scenes were great. They made the character of Superman more human, but the fight scene at the end was spectacle for spectacle’s sake. I’m afraid that Dawn of Justice is going to be more of the same. I guess we’ll see on May 6, 2016 to see if I was right.